I can be a bit leery of fantasy titles. I have to really be in the mood to read them and recently I just haven't been. I ended last year by reading Trudi Canavan's awesome Magician's Guild trilogy and then started 2010 by trawling through the first half of Robert Jordan's Wheel of Time magnum opus (for the second time, which is a whole other story) – up until last week I was still officially in fantasy recovery and couldn't bear the thought of reading any more for at least 10 years. Then I received the first and second books in David Whitley's Agora trilogy to review and decided that it was time to get back up on that fantasy horse. Now, I wouldn't normally review two books together but in this case I can't actually say much about the second without spoiling both. 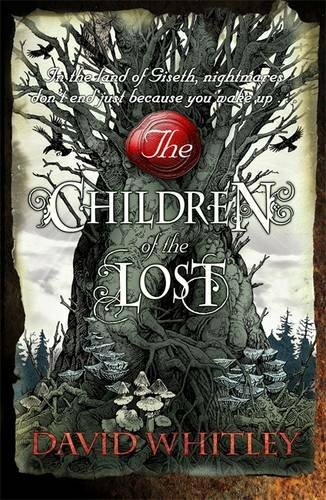 However, I wanted to mention both titles as book number two, The Children of The Lost is out on the 5th of August and deserves some props. worlds/societies/mythologies, and I particularly admire writers who choose fantasy as the genre for their debut novel. Way to jump in at the deep end, guys! David Whitley is one of these brave souls and, with Agora, he has certainly created a society unlike any I have come across before. Agora is a walled city divided into twelve districts named after the signs of the zodiac... so far so nothing-I-can't-imagine-seeing-in-Final-Fantasy-game, right? Wrong! What sets Agora apart in the realm of fantasy is that the entire society is based on trade – there is no money, yet everything and everybody is a commodity. From the age of twelve (which is the age of independence in Agora) you are able to create contracts with other citizens, trading anything from goods, food, and favours to fortunes (astrology is big in Agora), children and emotions. It's a great idea once you get the hang of it, which is exactly what the protagonists of The Midnight Charter are doing when we first come across their twelve-year-old selves. Mark and Lily have both been contracted into service, Mark by his father and Lily by her orphanage. They find themselves in the employ of kindly Dr. Theophilius and steely Count Stelli. 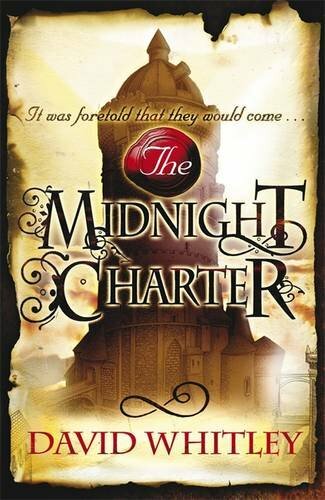 The Midnight Charter covers two years from this point and packs in a lot of information, tracking Mark and Lily's paths through a frighteningly adult world and, over time, if becomes clear that they are both of vital importance to said world – although not to their knowledge. Both characters are interesting. Mark is fairly naïve and can seem selfish and at times quite silly, whereas Lily is worldy, wise and almost a bit too good to be believable. However, as time progresses the author introduces both flaws and endearing aspects to both characters. My only issue with the characterisation of either Mark or Lily is their age. I simply did not believe that they were only twelve and found this sticking in my throat throughout the book. If the author had made the age of independence even two years later I would have found their speech and actions far more believable. There are a wealth of delightful, and not so delightful, supporting characters, all of whom are extremely well drawn with particular standouts being the obsequious Snutworth and the cynical Laud. If story seemed slow to start off with it was merely due to the fact that there is so much information being introduced about Agora and its machinations. 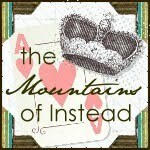 Things pick up pace during the second half of the book and certainly kept me turning pages until the thrilling climax. 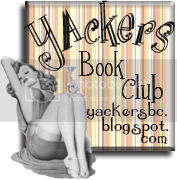 And it is thrilling – a real cliffhanger. Luckily I had The Children of The Lost to hand immediately. It starts off exactly where The Midnight Charter ends and introduces the world outside Agora. Throughout the book the narrative switches points of view between those we know back in Agora and those outside the walls. While it was great to see lesser characters explored in Agora it did feel a tad choppy at times, and there was a lot of political scheming going on which became a little confusing. Equally, the story going on outside the walls sometimes lost its way a little leaving me bewildered as to where the author was leading us. However, it was absolutely worth persevering. What I had felt to be useless expositioning or overly long political chit-chat turned out to be building to a huge reveal at the end and yet another thrilling cliffhanger. The writing really is very clever both in regards to the storyline and the characters I enjoyed the direction in which the author took Mark and Lily, particularly the growth of their often antagonistic friendship, and I also was impressed at the development of secondary characters Laud and Theophilius. Overall, I think that The Agora Trilogy is likely to be a well received addition to the fantasy cannon. If you enjoy fantasy as a rule, then pick it up; if you're not a great fantasy reader then this may whet your appetite for more and if you have never read anything in the genre then this is most definitely a great jumping off point. I await the third book with interest and will certainly be on the look out for more of David's writing in the future. Huh. Interesting. I do enjoy a bit of fantasy now and again, but like you said, I have to be in that sort of mood. And I don't think read very extensively into fantasy (love Trudi Canavan though) These sound interesting. Especially if it has good characterisation and an interesting and new world. Thanks for the heads up!